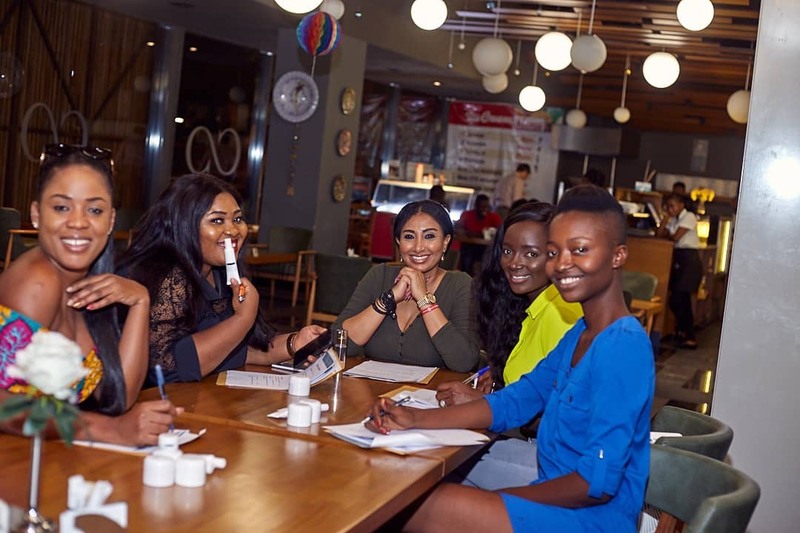 Shenen Cosmetics, a skin care line made in the USA, designed to suit the melanin skin to glow in its tone signed on, four major social media influential personalities from Ghana as its brand influencers in Ghana on Tuesday, January 9, 2018. The influencers includes, Belinda Dzattah a plus -size award-winning actress in Ghana who is loved by many due to her body type and comic-roles she plays in her movies. Chantelle Dapaah, an international model from Ghana, known for many awards won both in and outside Ghana. Jessica Williams, an award winning actress featured in numerous movies known for her versatility in her acting career. MisJulee, as known by fashion lovers in Ghana, is Ghana’s signature top model who commands the runway with her walk . She inspires a lot of models across Africa with her signature poses. According to the Founder of Shenen Cosmetics, Yorda Shenen, “The Shenen Brand is the answer to every melanin skin. Why bleach, whilst you can pop up in your melanin skin? Shenen Cosmetics is the solution to correct every bleached skin and bring the natural color of every melanin skin to Glow”. She added, it’s not just a sunblock but it prevents breakouts and corrects skin blemishes. Mr Charis Joshua Debrah, The Head of Business for Shenen Cosmetics in Ghana entreated the influencers to be committed and stick to the routine they have been taught in order to get the expected results the company wants from them. Shenen Cosmetics is set to have a mega launch in Ghana this June. The mega launch will bring skin care and makeup professionals from international high end brands amongst others for a major master class on skin care and makeup. Shenen Cosmetics also invites the public to kindly follow on social media pages now @shenen_cosmetics on Instagram and Shenen Cosmetics on Facebook for further information. Sister Deborah announces debut EP and "Kakalika Love Europe Tour"